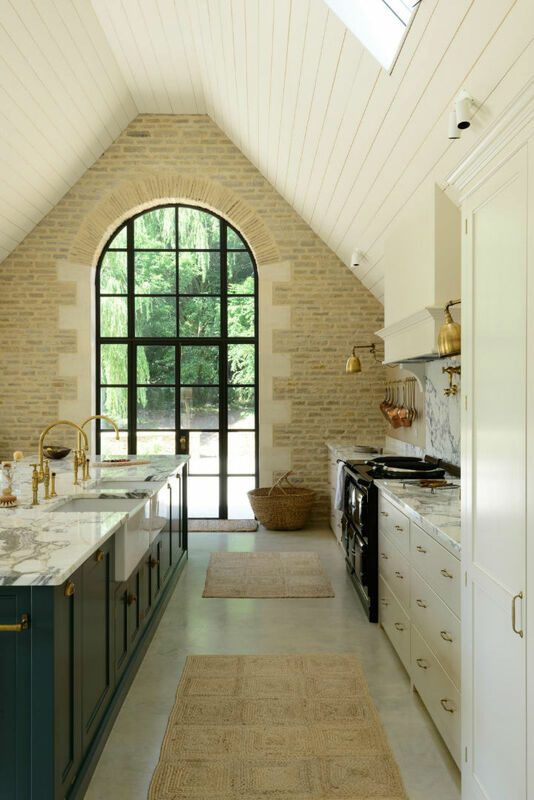 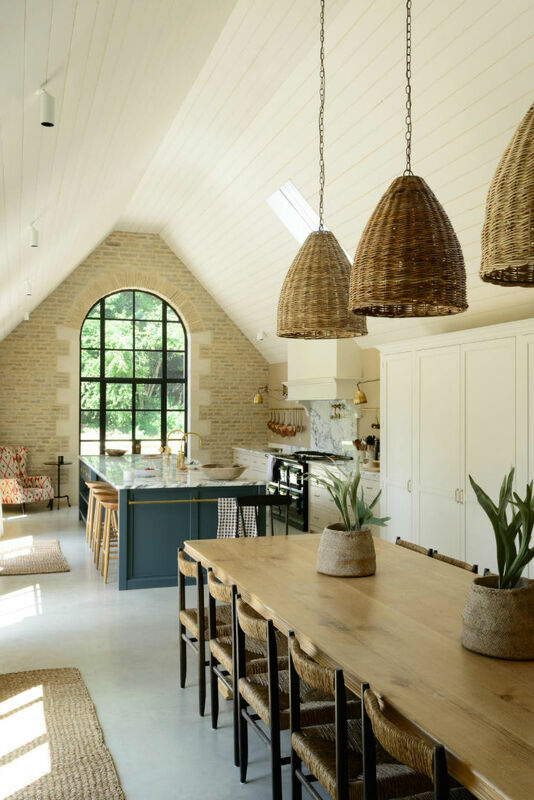 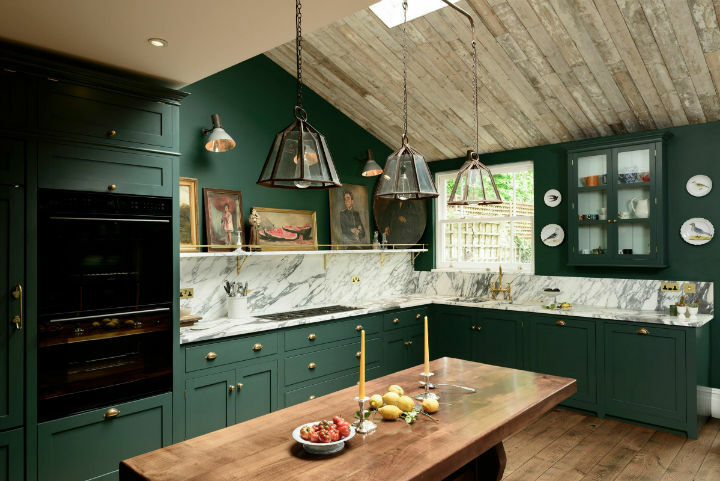 Bespoke Kitchens by deVOL. 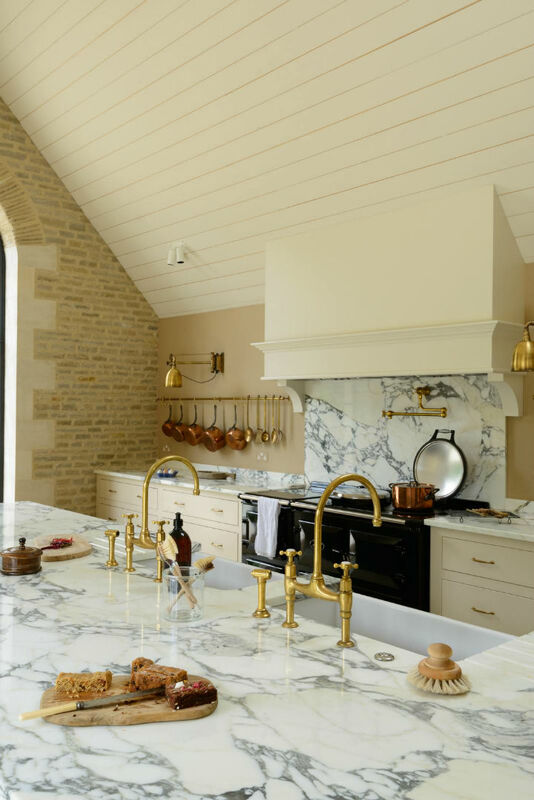 Bespoke Classic Kitchens offer a truly bespoke kitchen of the finest quality, made to any size and finish. 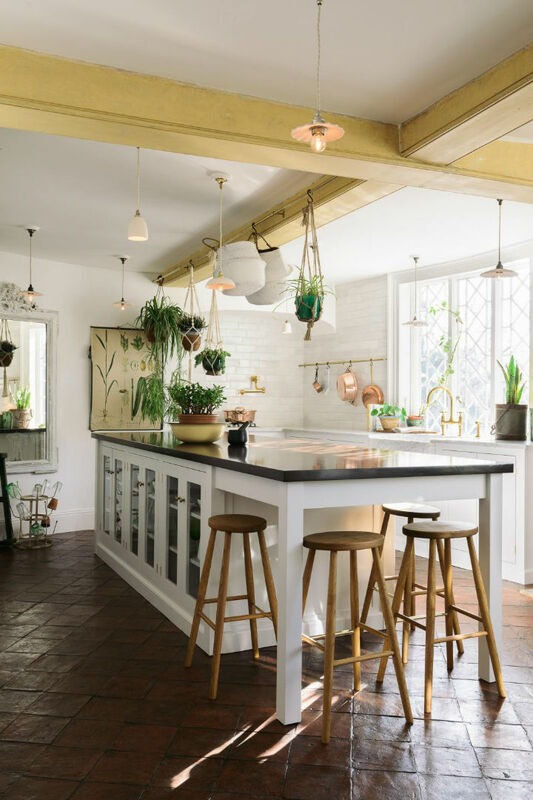 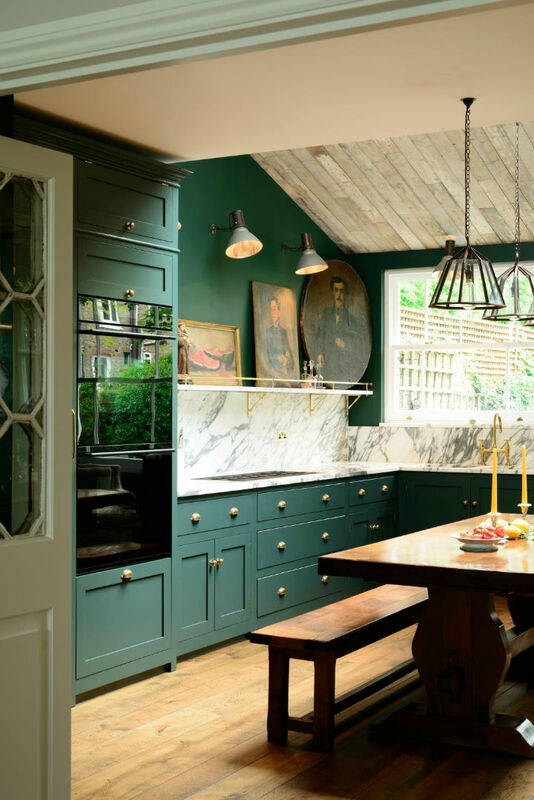 Inspired by period Georgian and farmhouse kitchens, Bespoke Kitchens by deVOL continue a tradition of English carpentry made to the highest quality and without compromise. 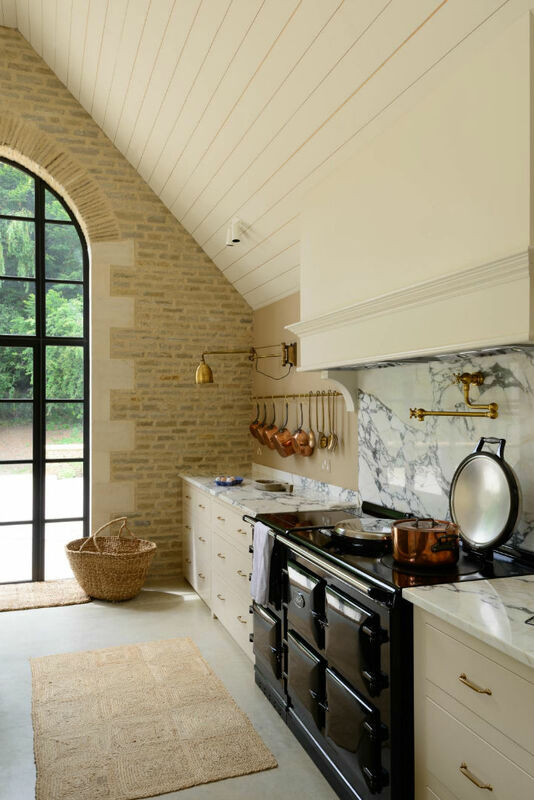 This is a Classic English Kitchen on a grand scale, not only is the room incredible but so is the location. 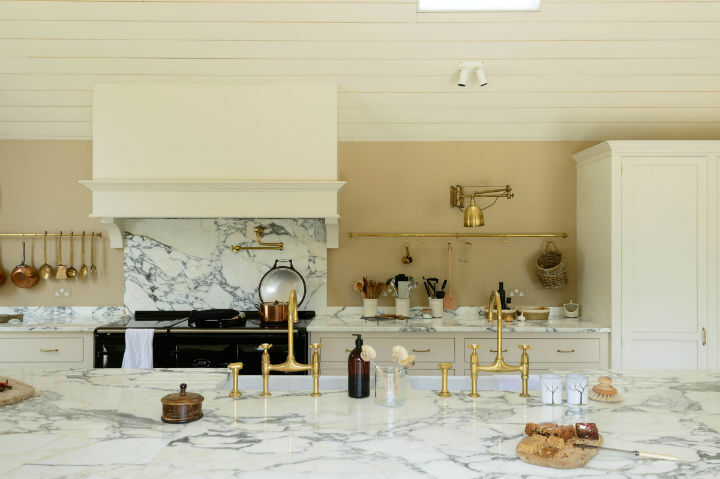 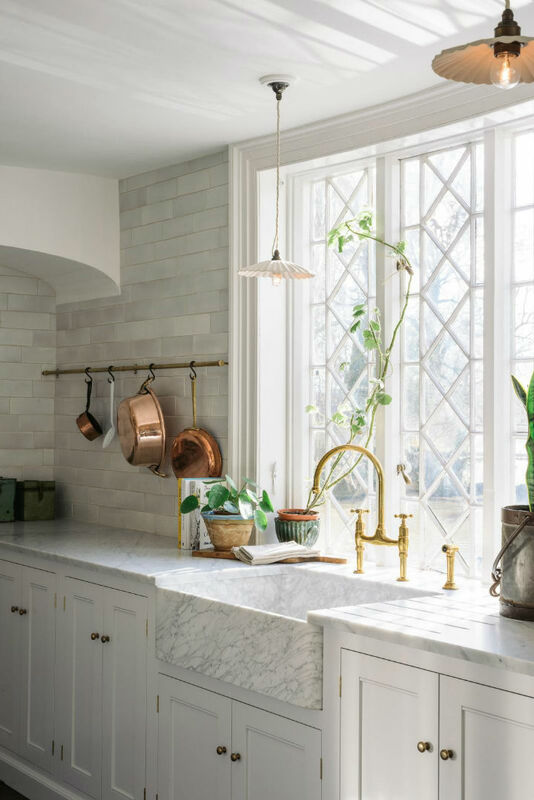 The huge expanse of Arabescato Corchia marble covers every work surface, its bold and dramatic veining makes it more than just a worktop but a piece of natural art, especially behind the AGA where it becomes a splashback. 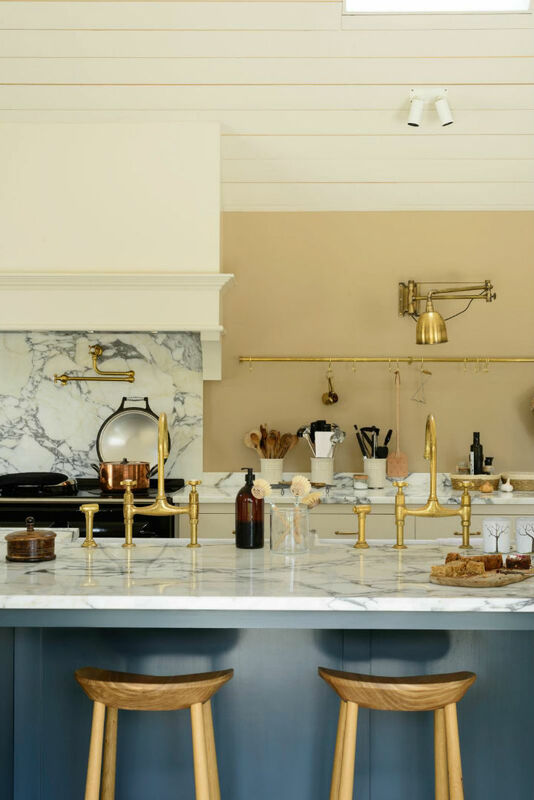 The wide Classic English drawer cupboards are nicely symmetrical either side of the AGA and using the Classic Pull Handles in brass makes the whole run look sleek and simple. 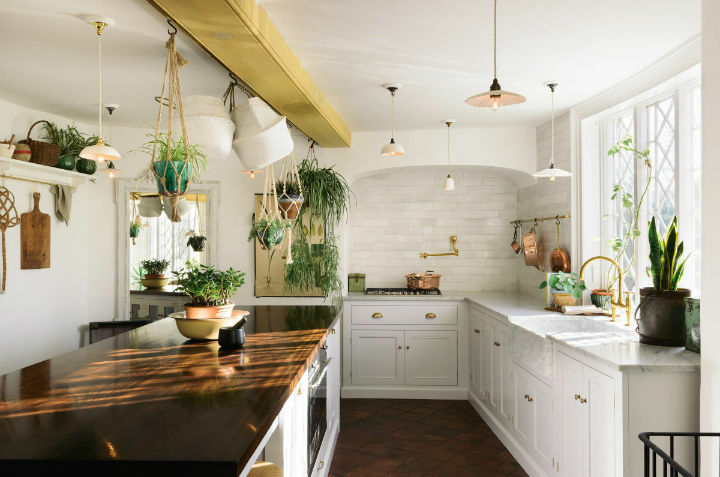 If luxe and bohemian can be used together, then it is the perfect description for the Peckham Rye Classic Kitchen. 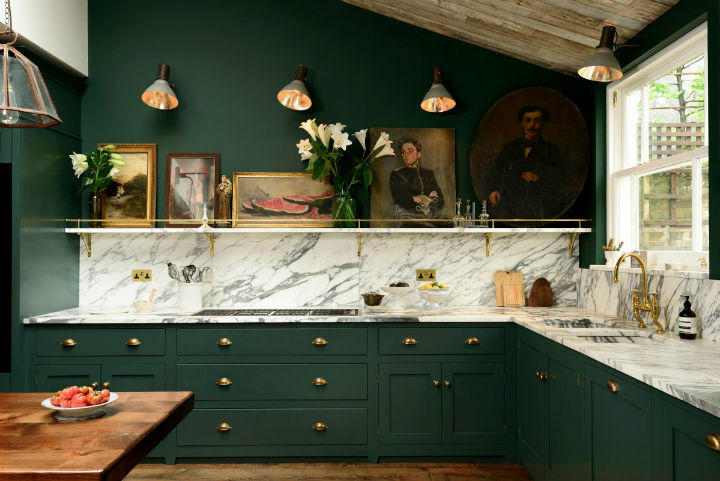 A crazy mix of beautiful bespoke cupboards, ugly marble, collections of stunning art and pottery. 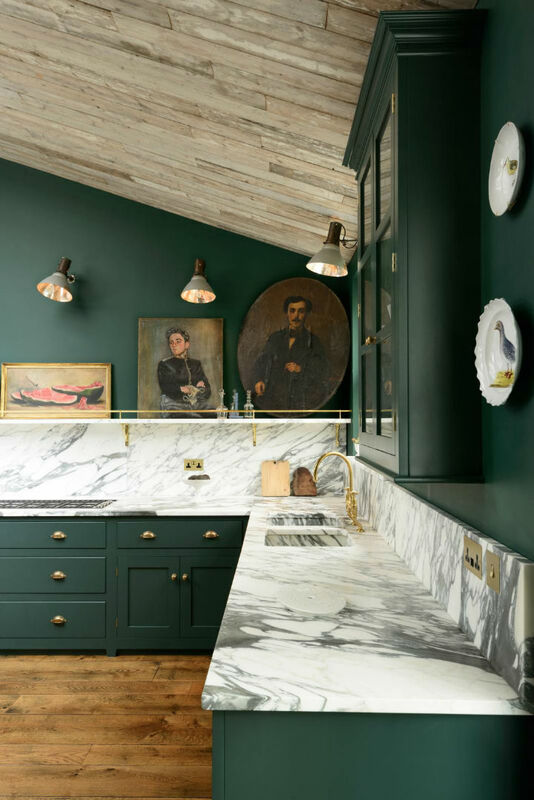 The paint on the cupboards is a cross between emerald and racing green, a great contrast to the deVOL brass door furniture, it is quite a change from the soft muted colours our customers usually choose, but it creates a fabulously dramatic and atmospheric kitchen. 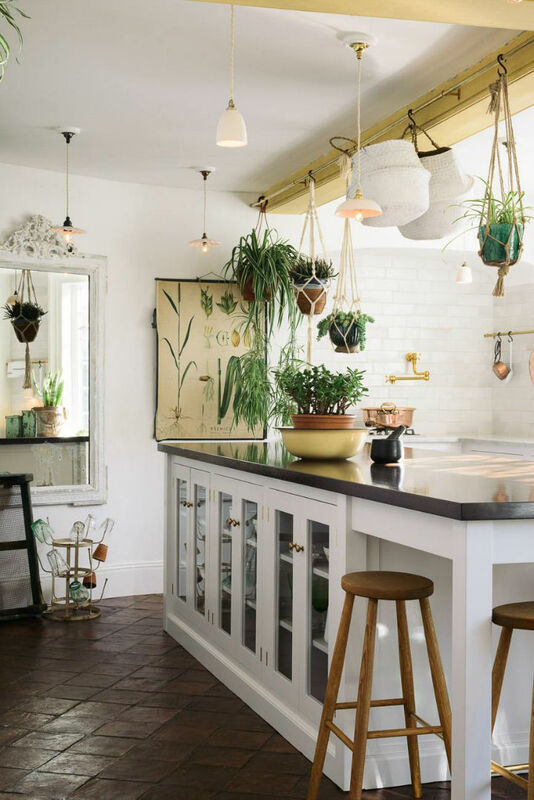 What makes this kitchen extra special is the personal touches, the fun bits that you add when all the necessities are sorted. 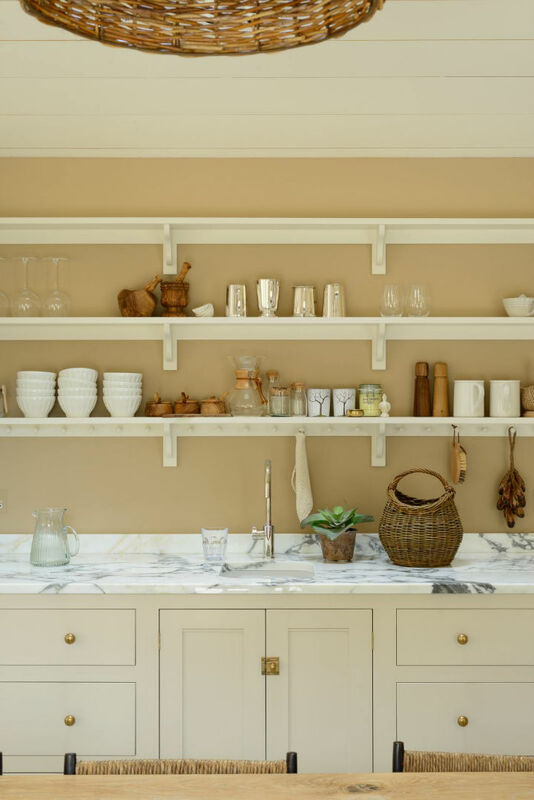 If you start with a really beautiful run of cupboards, then you can add your own style. 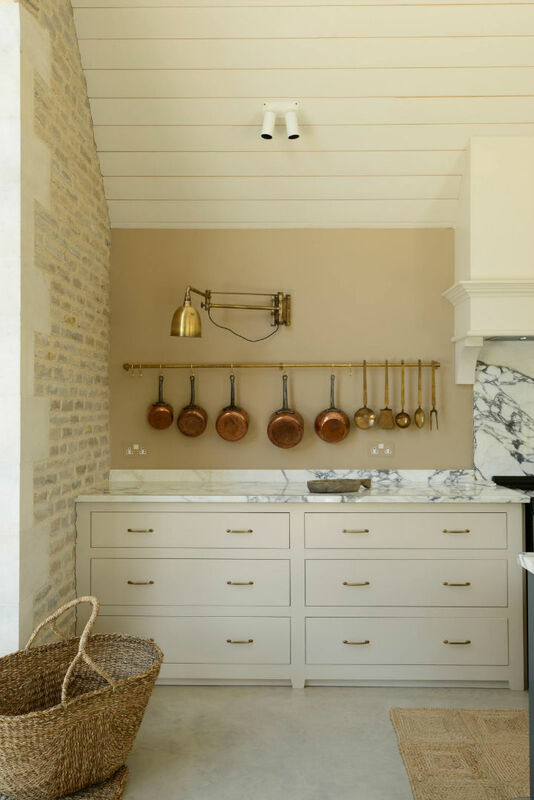 This white and yellow Curiosity Cupboard has a hand-painted interior it is fun and bold and adds a little whimsy to an already quite unique deVOL Kitchen.